Eddie Jones’ side moved back to the top of the table ahead of meeting unbeaten Wales later this month, with the bonus point secured when Henry Slade went over before the interval after May had already crossed for a treble. 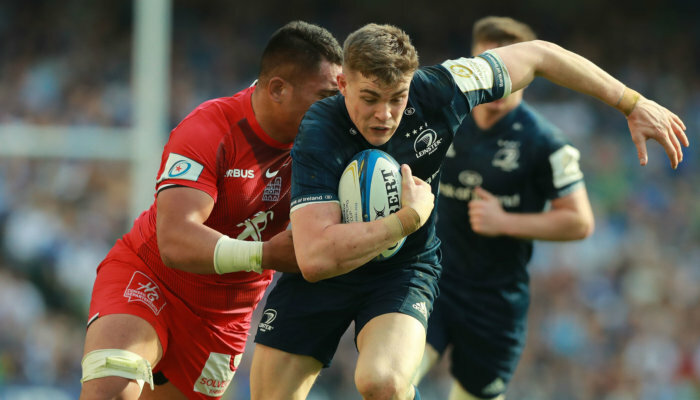 A penalty try and Owen Farrell’s score after the break made the final margin of victory even greater, and May was pleased that there was no dip in England’s performance after the impressive win over reigning champions Ireland in Dublin last weekend. “That was the challenge, I guess, trying to raise the bar after a really good team performance last week,” he told ITV. Leicester Tigers wing May’s first try came inside the opening two minutes as he raced onto a kick from Elliot Daly, and it was via that method that England frequently found joy. May’s hat-trick score was almost a carbon copy of his opening try, with Chris Ashton threading the kick behind the French line on that occasion. “It’s just the brand of rugby we want to play, we want to put teams under pressure,” May explained. “It’s special, I’ll remember this day,” sad May, who has now crossed in four successive Six Nations game. Farrell finished with 17 of England’s 44 points having added three conversions and two penalties but there was no doubt that May was the stand-out performer.